AAP’s methodology to solve noise and vibration problems is aimed at having an accurate definition of the physical behavior of the source, the receiver and medium between the two. Depending on the application, given the functional requirements, the environmental and cost constraints, AAP can quickly apply its manufactured materials to each of the three categories. AAP has products that can be applied to the source, to the medium as well as to the receiver’s ear. There are times at which one solution is dominant, but often a combination of solutions is required to address the noise and vibration issue. 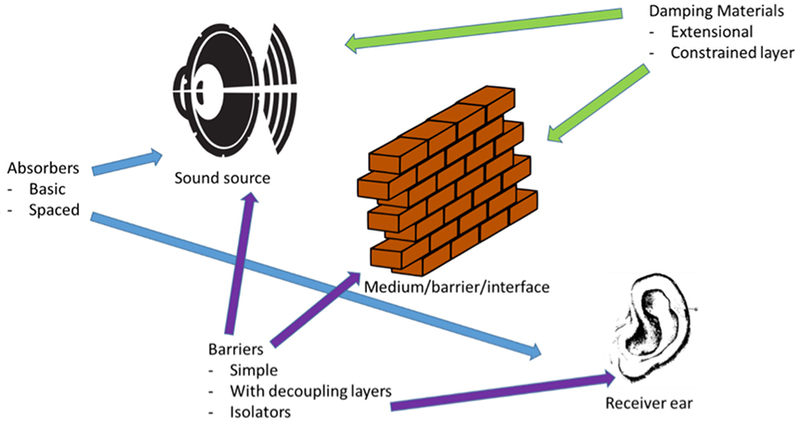 It is very important to be able to distinguish which type of noise control solution is most effective for the application. Careful attention to the type of noise source is present (ie., structure borne vs. airborne, steady state vs. impulse response, etc.). The control strategy needs to be adapted to the conditions present. AAP has decades of experience in quickly identifying noise and vibration problems and, most importantly, AAP can provide the customer with product solutions in a timely and cost effective manner.